Umbrella Multicultural Community Care Services Inc. was formally incorporated in April 2004, however, the Umbrella HACC program commenced in July 2000. 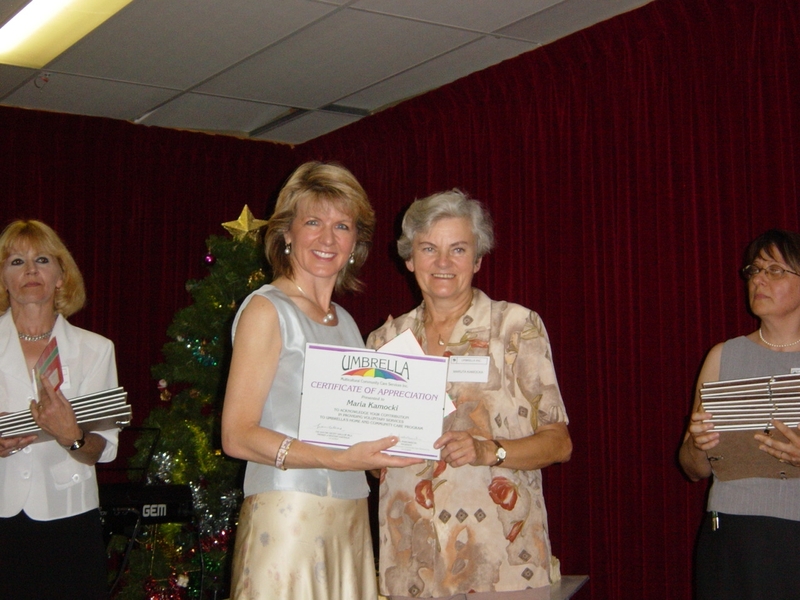 In 2007 Umbrella Inc., in conjunction with Jewish Care, Umbrella established the Shalom Adventure Centre Based Day Care Program. This program provides older members of the Jewish community with services in accordance with spiritual and cultural requirements. In 2013, Umbrella further expanded our services to Perth’s diverse populations with the establishment of the Diverse Care Program. The Diverse Care Program provides safe and a variety of services to Perth’s Gay, Lesbian, Bisexual, Transgender & Intersex (GLBTI) elders. In October 2015, Umbrella was celebrating our 15 years Anniversary, the Event was held in Polish Cracovia Club n Beechboro, over 200 people attended including members of Umbrella, Board Members, client and staff. Umbrella’s leading innovations in the delivery of high quality and responsive services to seniors from culturally and linguistically diverse (CaLD) and sexuality and gender diverse (LGBTI+) backgrounds have resulted in our organisation receiving Awards in the Small Provider Category at the 2016 ACSWA Excellence in Care Award and the Excellence in Service Delivery Award at the Cultural Diversity in Ageing Excellence Awards 2018. Excellence in Care Award.